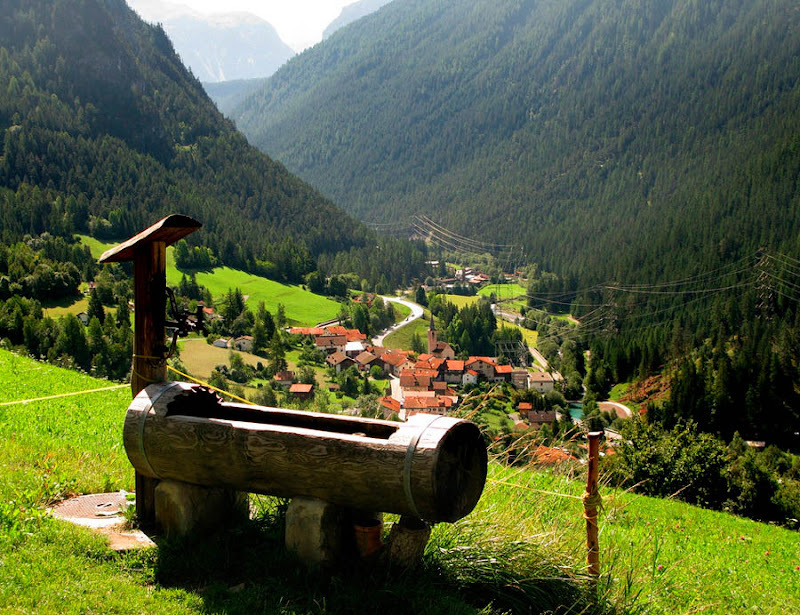 Get the water flowing, with as much flamboyant style as possible! 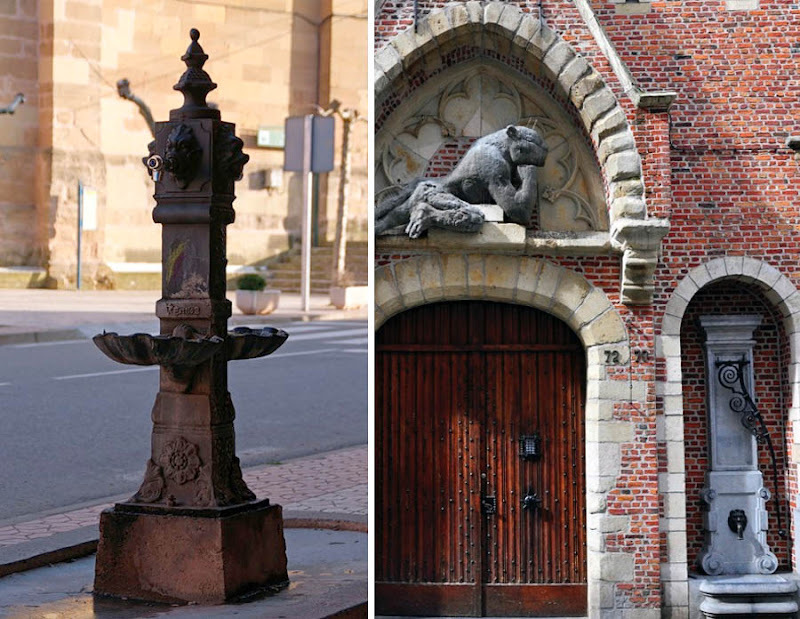 When we wrote about elaborate and often fantastic Gargoyles & Grotesques, we realized that some historic water pumps stand in the same extraordinary league, often boasting unique architectural styles and visually impressive designs. 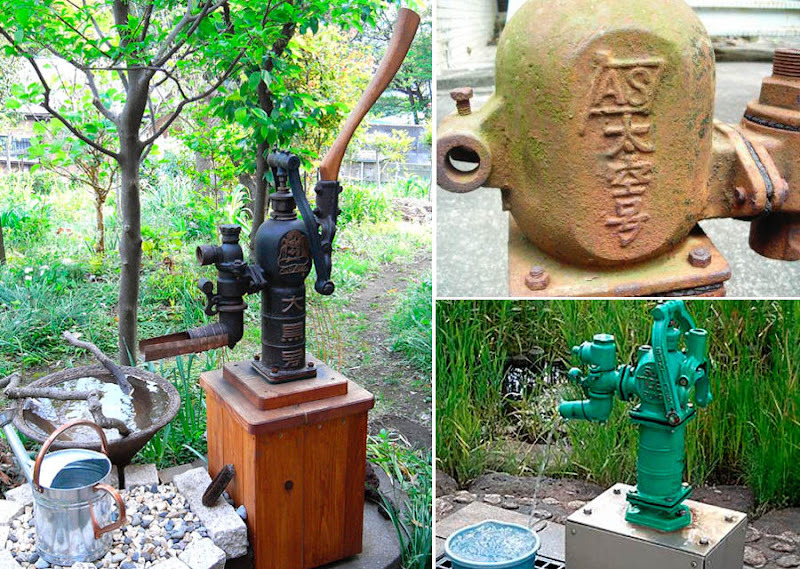 Here is a short roundup of more fascinating water pumps, found in small villages and cities around the world. 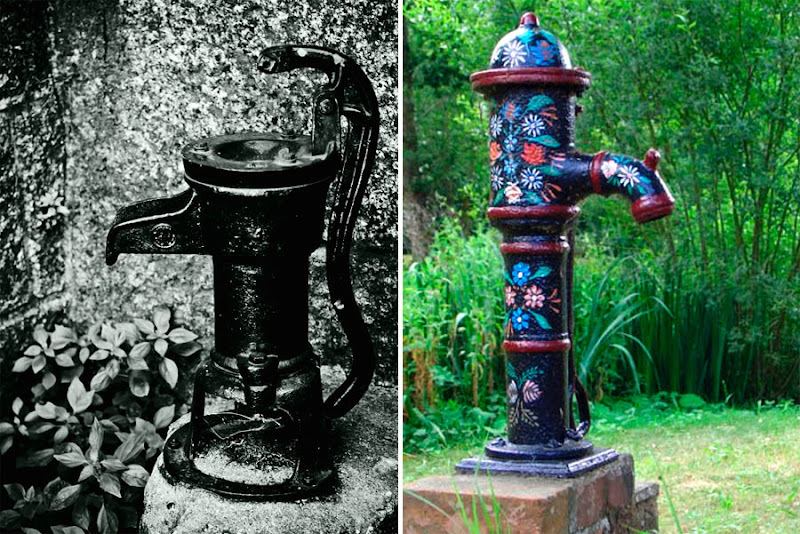 The village water pump once stood at the centre of rural life in the United Kingdom, with most communities having pumps on the village green or in the town centre. 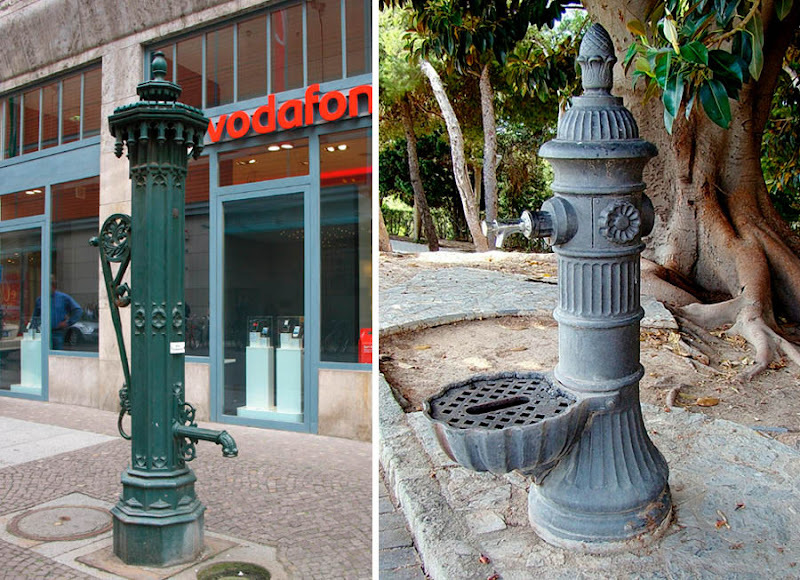 Once piped water mains appeared in the nineteenth century, the old style water pumps quickly fell out of use. 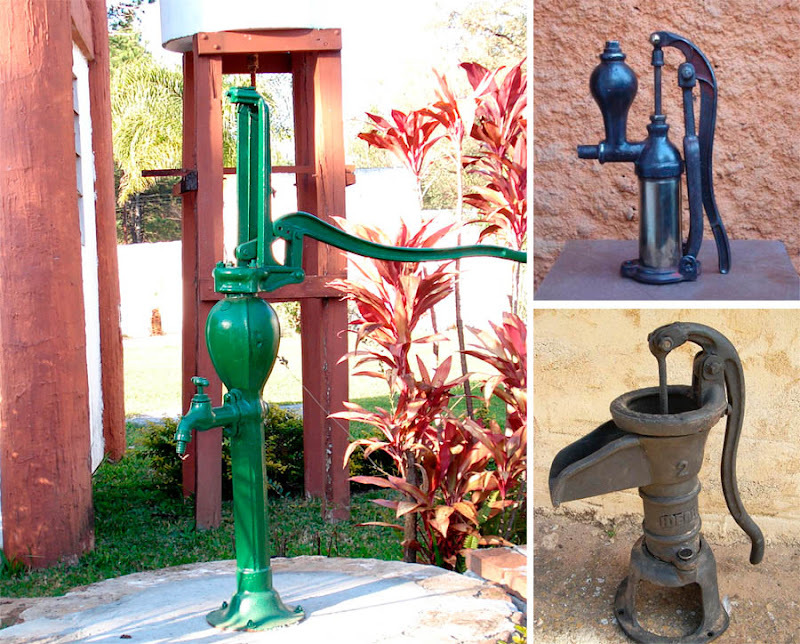 Many were simply discarded and sadly, few of these pumps now survive, but here’s a look at some of the examples that have stood the test of time. 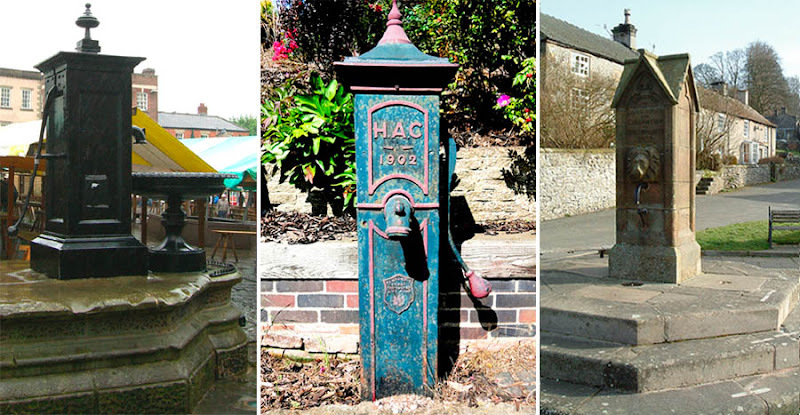 Middle image above: this pump can be seen in the village of Cubley; and on the right image above is the village pump in Hartington, erected to commemorate the coronation of Edward VII in 1902. 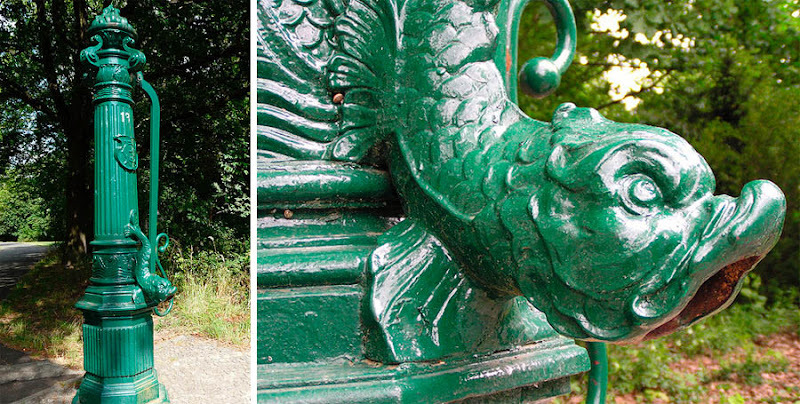 It's been in use until around 1930, and then restored for silver jubilee of Elizabeth II in 1977. 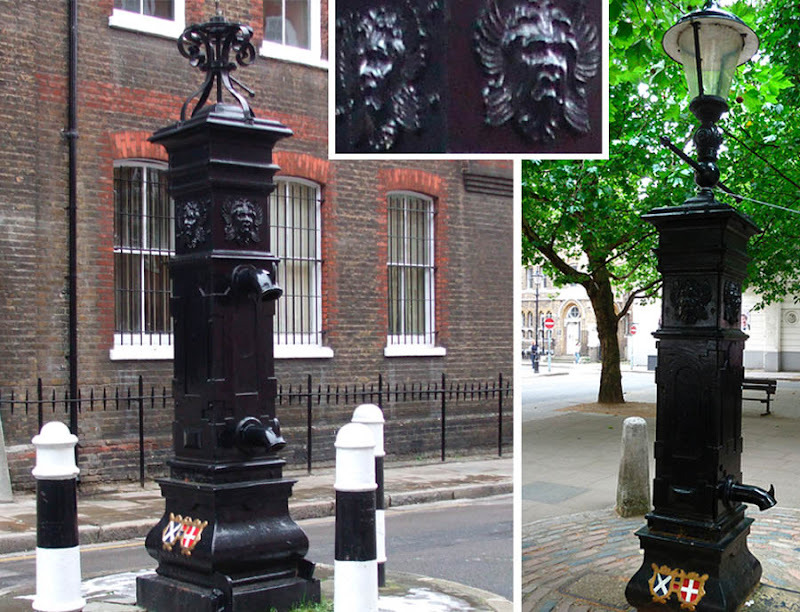 The site of Aldgate Pump in London (shown on the right image above) is thought to date back to the sixteenth century, when a pump was built at the location of an old well. 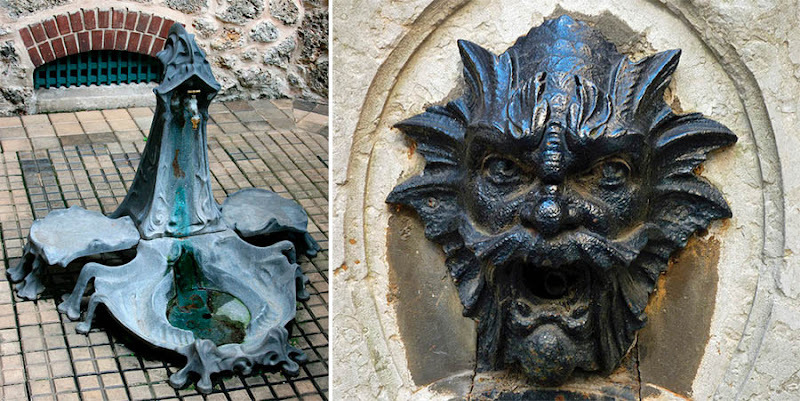 In the late eighteenth century, a stone pump was built and this was modified around 1870. 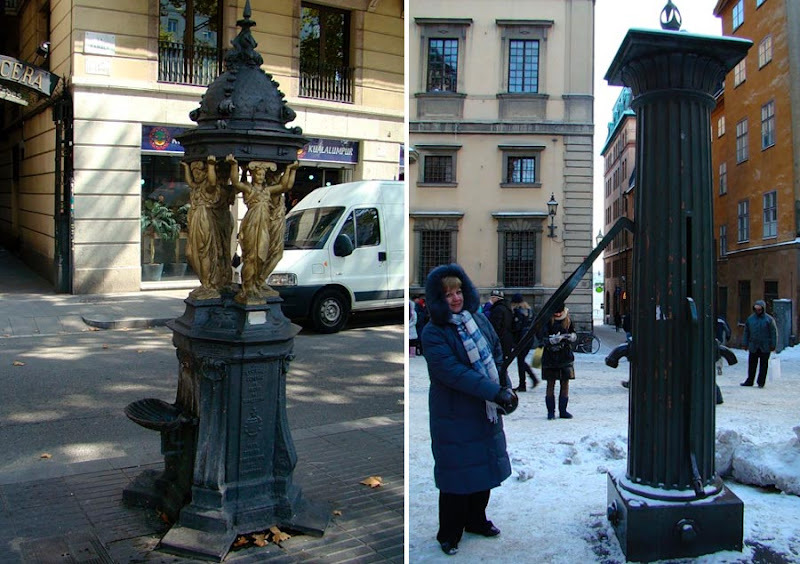 The pump has been a London landmark for quite some time, as the photographs below can attest (left to right: 1887 - 1908 - 1935) and the pump was still operational in the 1920’s. 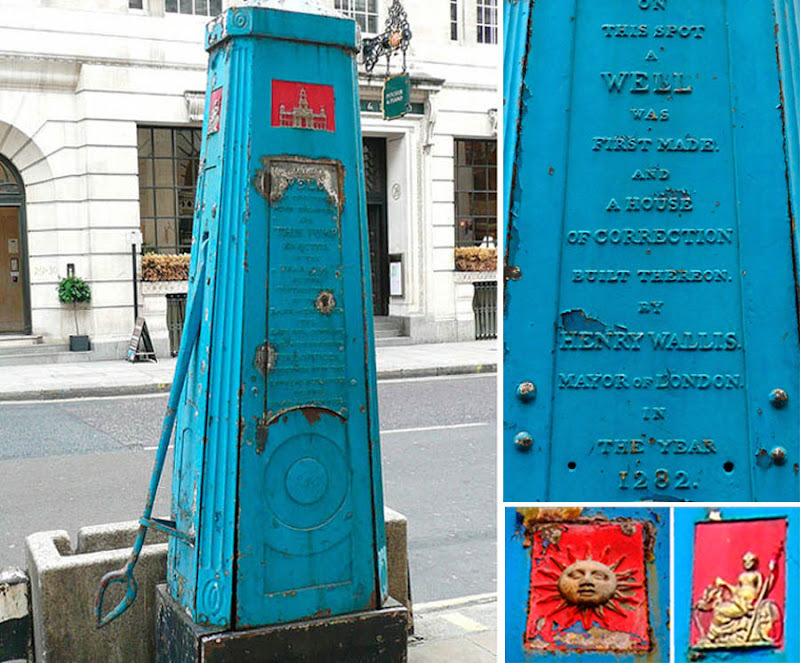 The pump supposedly marks the official starting point of London’s East End, plus Charles Dickens mentioned Aldgate Pump in ‘The Uncommercial Traveller’ in 1861. 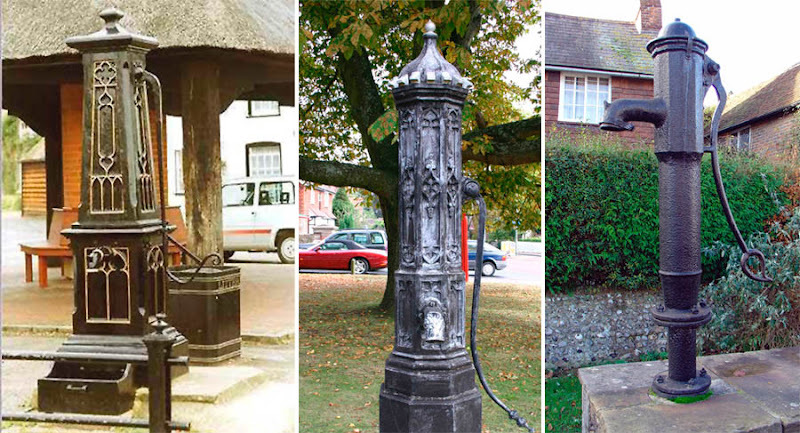 The Monks Eleigh village pump (shown in the middle above) is dated 1854, and the one at Mildenhall (right image above) is decorated by a streetlamp (there’s an inscription nearby reminding people that piped water was not available in Mildenhall until the 1940’s). 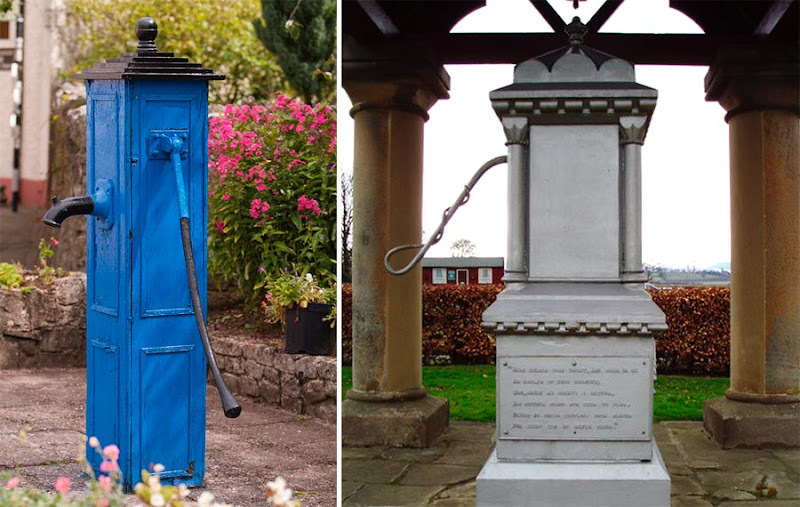 The Dunmore village green near Falkirk in Scotland has a water pump bearing a poetic inscription (right image above). 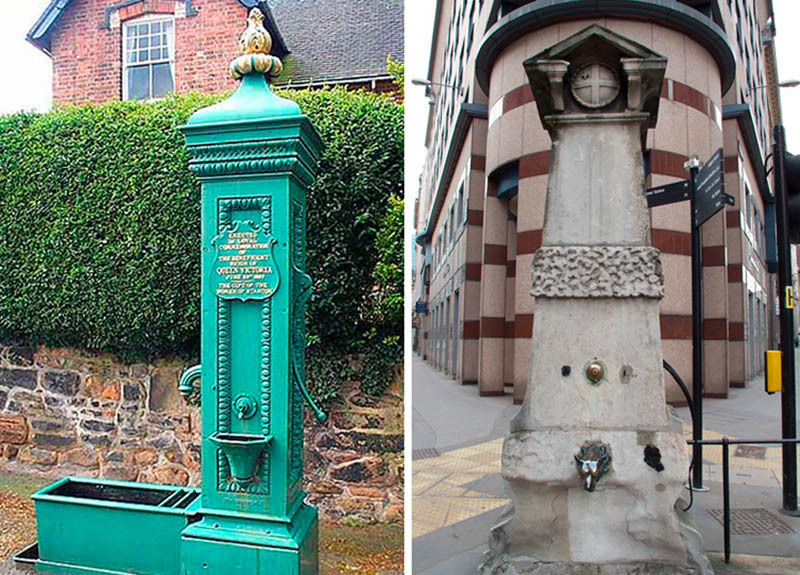 It reads - ‘Here quench your thirst and mark in me, an emblem of true charity, who while my bounty I bestow, am neither heard nor seen to flow, repaid by fresh supplies from heaven, for every drop of water given’. 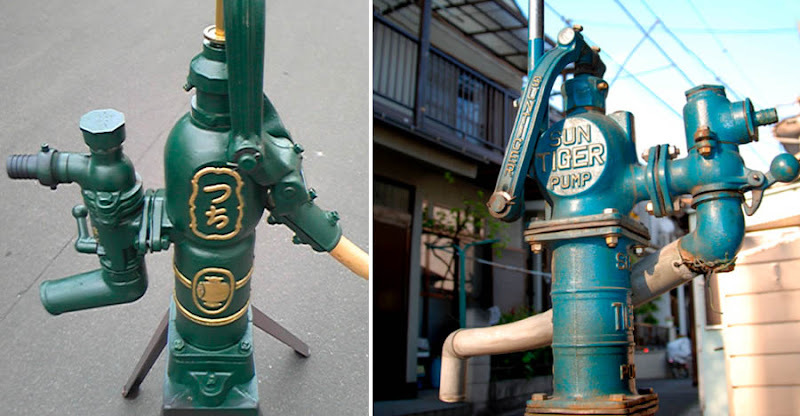 I wonder if there is an object category on Planet Earth that could not be converted into something desirable and collectible in Japan? 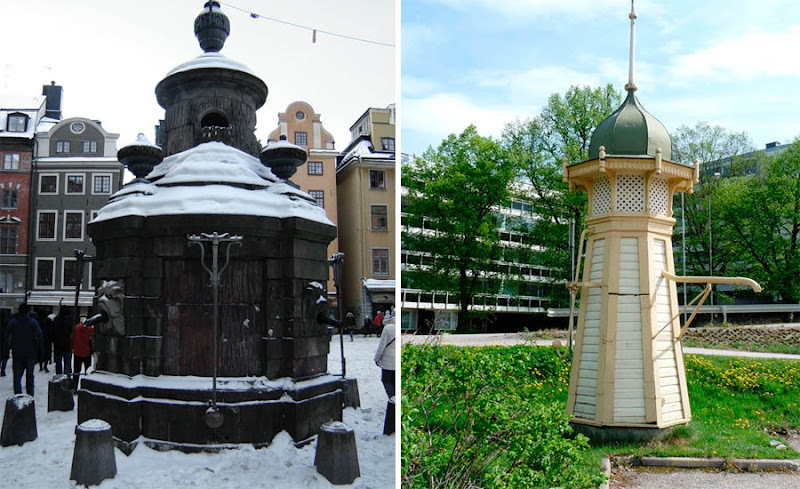 And in Heinola, Finland (right image above) water pump gets an impressive treatment. 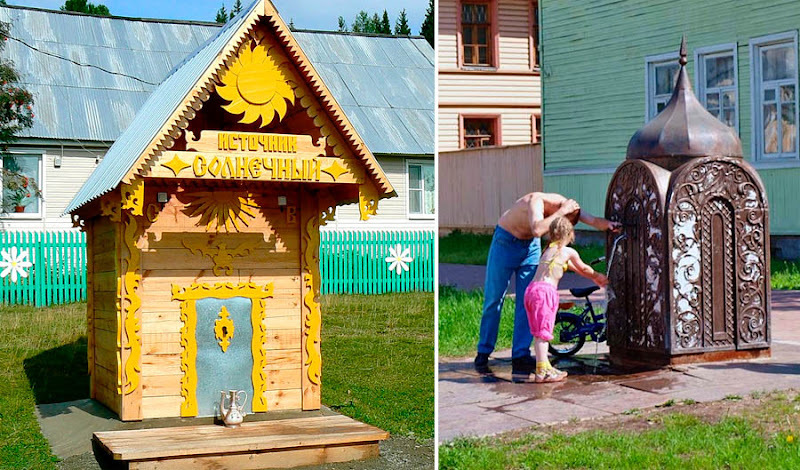 Seems like Scandinavian countries take their water sources seriously and love to decorate their pumps. 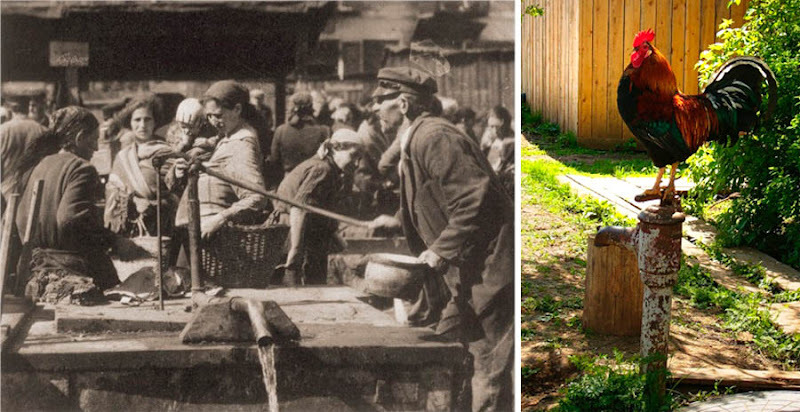 Correction: third photo is not from Russia, it's from Latvia. 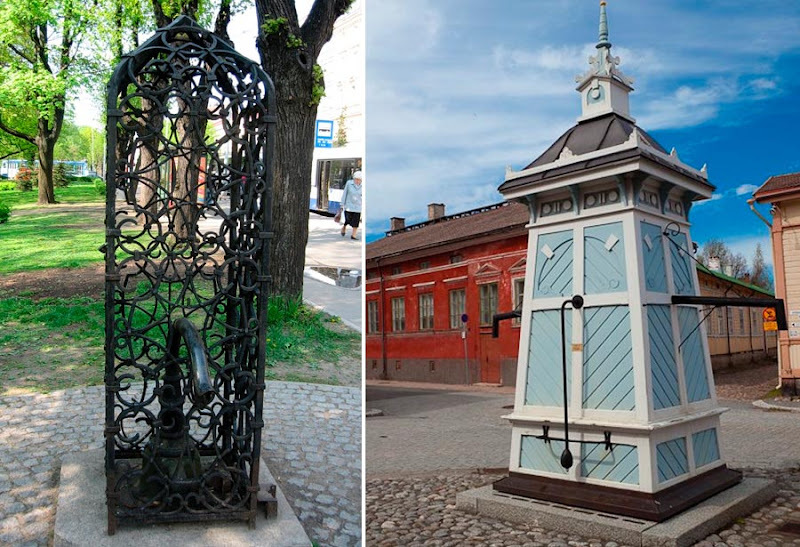 This water pump is located in the very center of Riga. Somebody still lives in New Orleans? 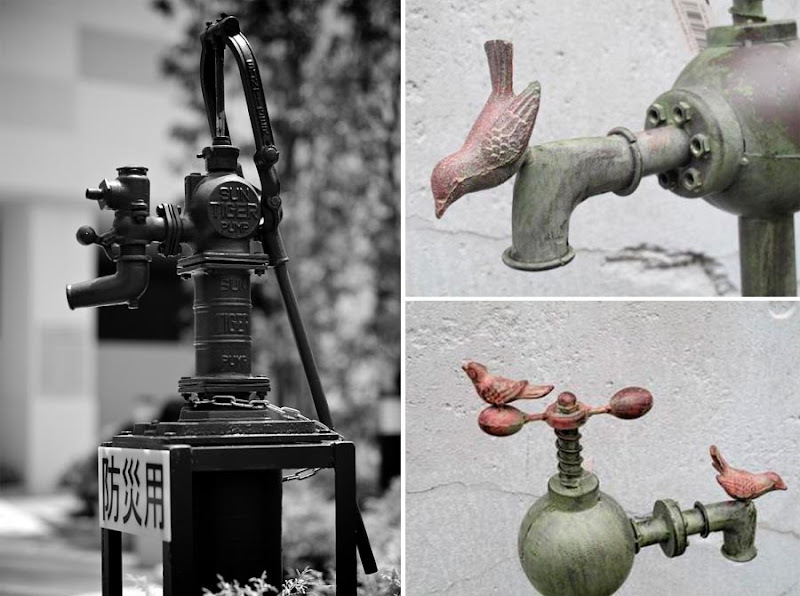 49825442May I add a new type of hand pump to the list? 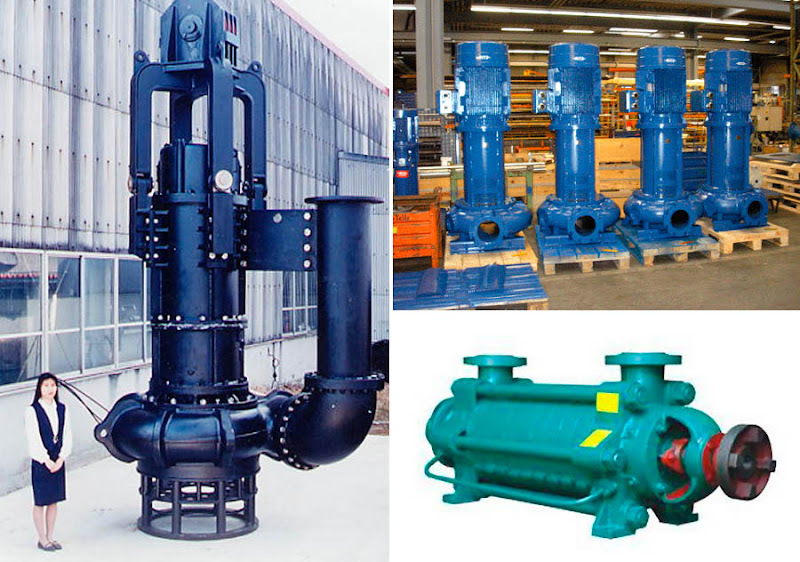 A shallow and deep well pump with a capacity of more than 100 gallons a minute. 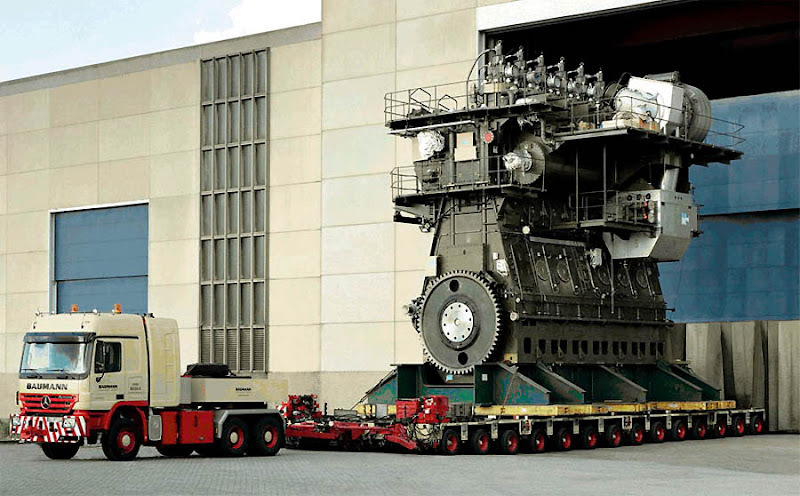 It weighs more than 400lbs, has the ability to exceed the lift and capacity in gallons per minute of a 12’ diameter windmill.